The delivery time for our standard and most commonly used tenter pin plates is one to two weeks. However, we pride ourselves in responding rapidly to each situation and can deliver a rush or emergency order within 24 to 48 hours. – please contact us by phone at 864-226-1514. 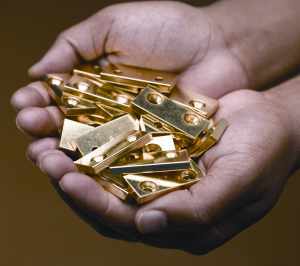 Our pin plates are made with the best available ASTMB 16 – Type 360 brass. The brass base can be nickel-plated as needed. 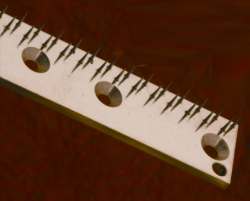 Our pins are high-carbon steel and have proven reliable in all types of tentering conditions. 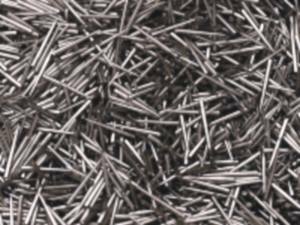 We stock a wide range of pin lengths and diameters in both plain and stainless steel. Special rust and corrosion resistant pins are available. Southern Textile Works supports most of the great textile machinery manufaturers such as Kenyon, Monforts, Krantz, Babcock, Winsor & Jerauld, Fabcon, Artos, Entec, Marshall & Williams, Famatex, Bruckner, Corino, Entec, Fabcon, Tubetex, Hunter, Morrison, Mascoe, Proctor & Schwartz, Gessner, Ewa, Muzzi, Tandematic, Texima, Santex, Singer, Santa Lucia, Tacker, Stentex. In the very competitive industry STW works diligently to offer the best quality at the best price to our customers. For immediate assistance please email us or call 864-226-1514.